Coolpad Note 6 has been launched in India. The new smartphone is touted to be an India-exclusive and the latest offline offering from the Chinese company. With Gold and Grey colour option, the Coolpad Note 6 will be available for purchase starting May 1 through over 300 multi-brand stores across eight states, including Delhi NCR, Haryana, Telangana, Karnataka, Tamil Nadu, Andhra Pradesh, Uttar Pradesh, and Maharashtra. It comes in two storage variants - the 32GB storage variant is available at Rs. 8,999, while the 64GB storage variant is priced at Rs. 9,999. Coolpad Note 6 specifications The dual-SIM (Nano) Coolpad Note 6 runs Android 7.1 Nougat and has a 5.5-inch full-HD (1080x1920 pixels) display. Under the hood, it is powered by an octa-core Qualcomm Snapdragon 435 SoC with a clock speed of 1.4GHz, coupled with Adreno 505 GPU and 4GB of RAM. The smartphone has a dual camera setup on the front that includes an 8-megapixel primary sensor and a 5-megapixel secondary sensor, paired with a 120-degree, wide-angle lens. On the back, there is a 13-megapixel autofocus camera with a six-piece lens that has an f/2.2 aperture. Coolpad has provided 32GB and 64GB of onboard storage options on the Note 6 that both are expandable via microSD card (up to 128GB). In terms of connectivity, there is 4G VoLTE, Wi-Fi 802.11 b/g/n, Bluetooth v4.1, GPS/ A-GPS, and a Micro-USB port. Sensors on board include an accelerometer, proximity sensor, ambient light sensor, and a front-facing fingerprint sensor. The smartphone packs a 4070mAh battery that is touted to deliver a standby time of 350 hours on a single charge. Besides, it weighs 170 grams and measures 153.7x76.4x8.62mm. ADVERTISING inRead invented by Teads "With a dual selfie camera, great viewing experience, long lasting battery, Coolpad Note 6 will offer a great value for money smartphone for the Indian customers," said Syed Tajuddin, CEO, Coolpad India, in a press statement. "We are also planning to introduce few more aggressive offline devices in next 2-3 months, in order to make an expansion in the offline market through our retails partners and multi-brand outlets. We are expecting that Coolpad will be able to make a strong presence in the offline market by the end of 2018." CoolPad and LeEco have teamed up to launch Cool 2, their second smartphone in their partnership. In 2016, LeEco had become the largest shareholder in Coolpad with the former's CEO taking over as the Chairman. The two Chinese manufacturers had unveiled Cool 1 Dual, the first joint smartphone in the series. 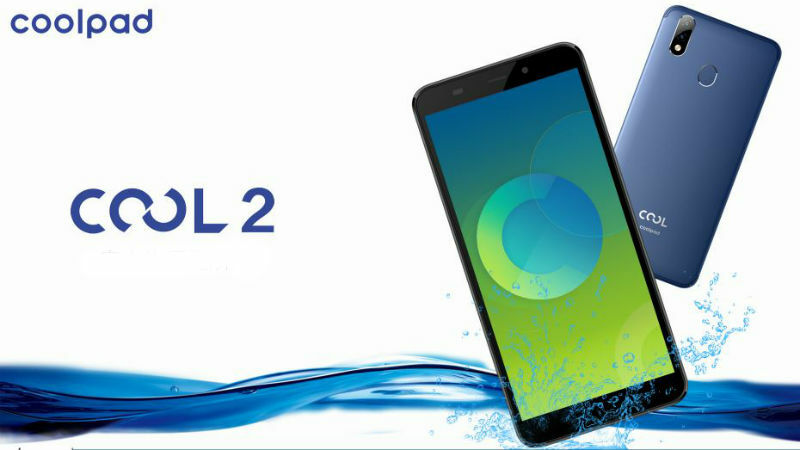 Now, the CoolPad Cool 2 has been announced in China and is expected to come to India as its predecessor had made its way into the country. The Cool 2 smartphone's key features include Face Unlock, 18:9 display, IPX4 water-resistant, 4GB RAM. There isn't too much certainty at the moment as to how much of a hand LeEco had in the smartphone, which is part of the jointly-created Cool brand. 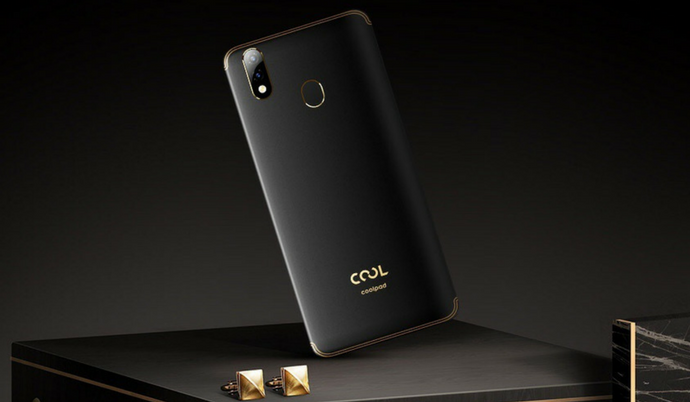 Notably, the announcement about Cool 1 was made on Chinese microblogging site Weibo, but there is no information on the pricing and availability details of the handset yet. In India, the CoolPad Cool 1 Dual was launched in two variants - 3GB RAM/ 32GB inbuilt storage and 4GB RAM/ 32GB inbuilt storage - and both were priced at Rs. 13,999. It is expected that the Cool 2 will be launched in the budget or mid-range segment in the country. CoolPad Cool 2 specifications The dual-SIM CoolPad Cool 2 runs Android 7.0 Nougat with custom UI on top. It sports a 5.7-inch HD+ (720x1440) display with 18:9 aspect ratio and 2.5D Curved Glass. The smartphone is powered by the octa-core MediaTek MT6750 SoC, clocked up to 1.5GHz. It is equipped with 4GB of RAM. In terms of camera, the CoolPad Cool 2 comes with a 13-megapixel primary sensor and a 0.3-megapixel secondary sensor at the back. On the front, is a single 8-megapixel camera. 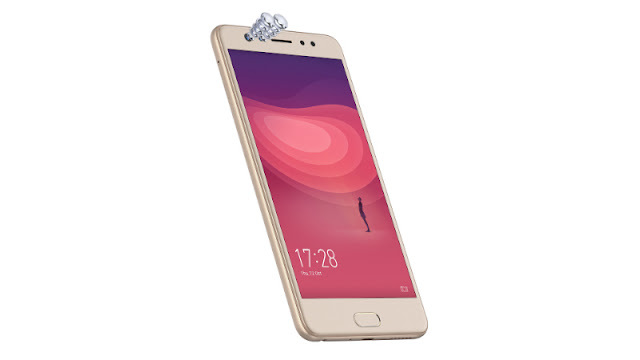 The smartphone comes with 64GB of inbuilt storage, expandable via microSD card. In terms of connectivity, the smartphone offers 4G VoLTE, while available ports include a 3.5mm audio jack and a Micro-USB port, Android Headlines reports. Also, the smartphone is fuelled by a 3200mAh battery. When it comes to design, the Cool 2 smartphone appears to be traditional and comes without any notches or fullscreen displays. The smartphone has a metal body that measures 154.7x73.3x9mm. In the past few months, we haven’t seen any new products from many smaller Chinese manufacturers. While Coolpad is one among them, it has now silently launched a new smartphone called Coolpad Cool 2 in China. While the company mentioned the Cool 2 as a waterproof smartphone, we expect it to be only water resistant. Talking about the build quality, the device comes with a metal unibody design. There is an 18:9 display on the front and iPhone X-like vertically aligned dual cameras on the rear. Even with the 18:9 display, the Cool 2 sports relatively thick bezels on all four sides. It sports a 5.7-inch display on the front with HD+ (1440 x 720 pixels) resolution. Under the hood is the 64-bit MediaTek MT6750 octa-core processor coupled with Mali T-860 GPU and 4GB of RAM. There is 64GB of internal storage that can be further expandable using the MicroSD card slot. Coming to the cameras, the Cool 2 sports dual cameras on the rear with 13MP and 0.3MP sensors. For selfies, there is an 8MP front-facing camera. It runs on Android 7.0 Nougat out of the box with customized skin laid on top. With all these specifications, the device is backed by a 3,200mAh non-removable battery and lacks fast charging support. The Coolpad Cool 2 measures 154.7 x 73.3 x 9.0 mm. Connectivity options include 4G VoLTE, Wi-Fi, Bluetooth, GPS, 3.5mm audio jack, and a MicroUSB 2.0 port. The power button and volume rocker are placed on the left edge of the device. On the rear, we can also spot the fingerprint sensor. However, the device can also be unlocked using the face unlock option. As of now, the pricing and availability of the smartphone is not yet known. Stay tuned on PhoneRadar for more details!